Waterstones have announced that they will sell Amazon’s popular Kindle e-reader in its UK stores along with their standard paper books. James Daunt, managing director of Waterstones, stated that it is “a truly exciting prospect”. He claimed that there is no point in competing with the best digital electronic book readers and so will instead partner with the Kindle, after sales of paper books have fallen in recent years due to the emergence of e-readers such as the Kindle and Barnes & Noble’s Nook. Although Daunt claims that they will harness “the respective strengths of Waterstones and Amazon to provide a dramatically better digital reading experience for our customers” surely they are just shooting themselves in the foot. By selling them in their shops they are further promoting their rivals in the book industry. Waterstones have even said that they are currently planning their own e-book reader, but whether that will kick off and keep Waterstones alive is yet to be seen. James Daunt was appointed in his position after Russian billionaire Alexander Mamut bought the bookstore chain from HMV last summer. This new deal comes as a surprise since Daunt accused Amazon last December as being a “ruthless, money-making devil” and said “that they never struck me as being a sort of business in the consumer’s interest.” It now seems that they have given in to the ever growing popularity of the Kindle, even though it was believed that they were negotiating with US bookseller Barnes & Noble to bring the Nook to the UK. 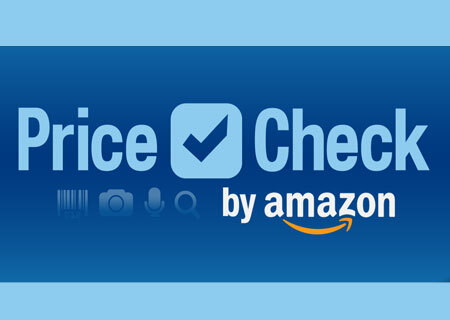 This isn’t the only case of Amazon trying to take control, after they released a mobile app where you scan products in a shop and compare it to Amazon’s rival price. Personally I think that although this could help with Waterstones’ sales, which have fallen over the last few years due to these new ways of reading, they are potentially damaging their book sales and the integrity of their shop. However, I think that they have no choice to keep their company alive and keep customers coming to their shops by offering special Waterstones discounts on the Kindles and hope to draw people in to browse around. Although it seems Waterstones are doing all they can to stay in the now highly competitive market, you can’t help but feel that this is the next step in the decline of the traditional book store we all know and some of us cherish, but also the rise of the e-books, where it will be odd in the future if you don’t own a device capable of displaying such content, as it will become the normal thing for everyone to have. Major publishing companies need to watch out as they too need to change if they are to survive in this rapidly changing market. Yay my first post! Oh know I’ve been drawn in as well, I tried to be strong. Personally I love my Kindle, it is so much better than ‘tree books’. But there are always some books that I will want in physical form, just for the sake of actually having them. I reckon there will always be books, such as classics, but e-readers are going to be the main way of reading. You’re right. We are well and truly in the technology era now and people are gonna have to accept it. This deal makes absolutely no sense to me. If Waterstones had gone with B&N and taken a cut of all book sales or rebranded it as the Waterstones Nook it would have made so much more financial sense. Now people will buy the Kindle and never visit the store again, before going off to buy their books on Amazon. RIP Waterstones. Yeah I agree, it seems they are just tired of competing with them and so are joining them because they no they have lost. Still, instead of improving waterstones, it just seems they are going to be taken over by Amazon. Unless they are taking a hefty cut of sales from devices bought in their stores, this deal is stupid. At least WHSmith has leverage over Kobo. Really? I have never met a person with a non-Amazon e-reader. WHSmith’s Kobo experiment failed majestically as they are crap and Rakuten (owners of Play.com) bought them, and no other companies have an ecosystem anywhere near as large as Amazon, save for B&N who won’t ship outside the US. Microsoft’s cash should help them grow and eat into Amazon’s market share, but Amazon has hammered the final nail into the Waterstones coffin with this deal. What about an iPad? Even if they’re not losing sales they could be making sure, it could only improve their sales, surely? True, but many people refuse to read on LCD screens for extended periods of time. E-ink has a future, even in a tablet world. I think they are offering deals and discounts to buy them through Waterstones. 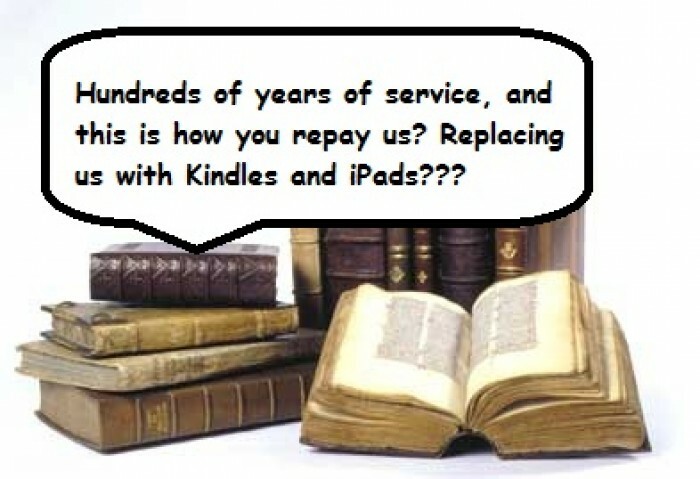 The question is will people go to Waterstones to buy Kindles or will they carry on getting them from Amazon? I suppose you can get them right away if you get it from Waterstones. They are already available in DSG stores and that is a big thing as people like myself and my grandma can go and play with one before buying. Having them in the last major dedicated bookstore chain following the demise of Borders and Ottakar’s will destroy paper. Unless it is last ditch attemp to hop on the band wagon and get into the markeet because they have realised that ‘tree books’ are slowly wilting. Speaking of B&N, I want a Nook Simple Touch with GlowLight! Really? I have never met a person with a non-Amazon e-reader. I thought no one bought anything apart from the Kindle? Give me a Kindle 4 with the same light technology and I’d get it over the Nook. The fact is Amazon doesn’t have that tech on the market yet, but B&N does. how exactly does the light in/on the Nook actually work. Is it a back-light as I thought the idea of a Kindle was not to have a light shining in your eyes like an iPad? It’s got a strip of LEDs at the top above the display and a special coating that spreads the light evenly across. It’s not a backlight so it doesn’t hurt the eyes and it is in fact lighter and thinner than the Nook without the light. Indeed. Apparently Amazon will soon release something with similar tech, but until then B&N has the edge for me.